It is Jana here. 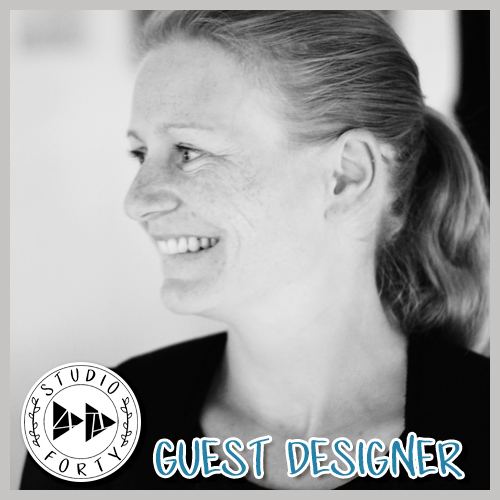 First of all, let me tell you how excited I am to be a guest designer for Studio Forty. The first I heard of this brand was from Valeria and I fell in love with the modern design and products. Thank you to Monika for this wonderful opportunity. I live in Prague, Czech republic. I am a teacher, at the moment full time mum and housewife. A typical scrapbooking story: I fell in love with paper crafting, namely Project life, in 2014 straight after our son was born. Now I already have four PL albums full of memories and treasured moments. I LOVE IT! I love taking pictures, playing with my camera, trying new things and new angles. The photo is my focal point in scrapbooking. Therefore I am not that keen on making cards. My projects are mainly clean and simple. I am not good at embellishing, lazy to look for stuff in my drawers and also scared I will go over the top with adding the decorations. I mainly do Project life. From time to time I can go for a big layout or my lately favourite 8,5x11 inch. I LOVE minialbums, December Daily projects and Traveler's Notebooks .. they are a bit of an escape from my pocket pages routine. You can find me on instagram @coloursbennett.cz. Thank you to Studio Forty for having me as a guest designer. It is a pleasure to share my work with you. Today I have two projects for you. The first one is a pocket page. I am a very loyal pocket scrapbooker, it is like my everyday bread. All the treasured memories, ordinary moments and special events in one. Love it! The layout is composed of cards DON’T GROW UP. It is such a sweet light design. I don’t usually make a title card with the week number. I have tons of photos every week so a title card is waste of space for me. But this time, I did make one. Recently I have been playing with my Fuse Tool a lot and I use it to customize my pages as I need it (and like it). This design was originally a design C with six 6x4 pockets. As for the week number I used LUCIE ALPHABET STAMP which has a brilliant stamp - I like handwritten fonts. I don’t usually use many embellishments. A few stickers and enamel dots are enough for me. My belief is that not every photo needs something to be added on. I love using transparent stickers. These ones are from LOVE ME DO collection. The second project I want to show you today is a very clean and simple mini layout in my Traveler’s Notebook. After our daughter was born, I started putting together all of her pictures in one little book. 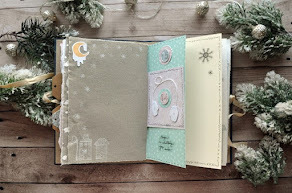 This layout just reflects the simplicity and quick process of all the pages – one PL card and journaling. Sometimes you don’t need much to tell the story. I cut this cute bear from one card of the LOVE ME DO collection. The same thing with the flag. The little frame is cut out from a card as well. I am very fond of handlettering recently hence all the writing. Saves using too many alphabet stickers. And to embellish the photos I used one transparent sticker again. And that is all for today. Happy scrapping! Zostaw komentarz, będzie nam miło. Be kind | Asia N.
North Sea Selfie | Stephanie B. Z życzeniami | Asia N.
Exploding box w radosnych kolorach :) | Magda G.
STUDIO FORTY. Obsługiwane przez usługę Blogger.